There is so much more to Northern Indiana’s history than farming and football, though we have to admit—we’re pretty big fans of both. Indiana’s Cool North is home to some seriously unique museums and historic sites. Where else could you see massive mastodon bones, visit the first Amish settlement in the state, or let your inner comic book nerd loose at the world’s only superhero museum? Read on to learn about Northern Indiana’s coolest museums. When: Monday to Friday 2 - 5 p.m.
Holy comic book history Batman! 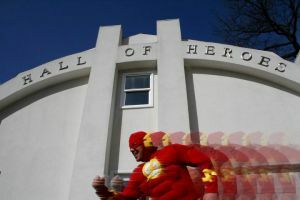 The only museum of its kind in the world, Hall of Heroes boasts a collection of over 60,000 comic books and 10,000 action figures, toys, and props from beloved super hero television shows and films. Channel your inner caped crusader in a replica of the Bat Cave set from the 1960’s Batman TV series or fend off foes with the original shield used in the film Captain America: First Avenger. Take a walk on the wild side at Indiana’s oldest zoo. 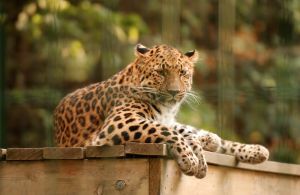 Home to over 400 animals, including large cats, primates, poison dart frogs and a menagerie of Australian wildlife, the zoo promises an entire day of fun for the whole family. Take a ride around the 23-acre complex on the Zoo Train and get up close and “fur-sonal” with some barnyard pals at the Farm Feeding Area. 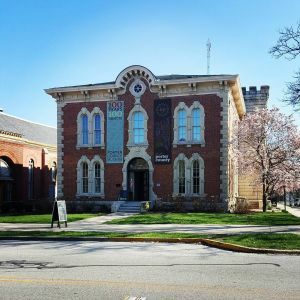 When: Wednesday through Saturday, 9 a.m. - 5 p.m.
Also known as PoCo Muse, this museum is as eclectic as Indiana’s Cool North—and just as interesting! Going as far back as the prehistoric era in Porter County, check out mighty mastodon bones that were found in a local farmer’s field. The World War II exhibit includes artifacts belonging to local soldiers. Relive the Wild West at the exhibit of stunt performer Broncho John Sullivan. When: Most weekends and holidays, 12 - 5 p.m.
More than just railroads, steam power revolutionized the way Americans worked, traveled, and lived during the Industrial Age. 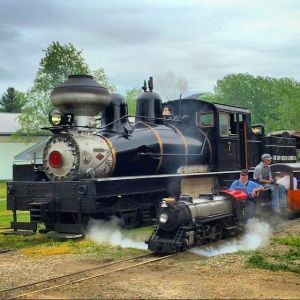 At Hesston Steam Museum, see a variety steam locomotives in action—from the Shay locomotive once used for hauling lumber from the west to the one-eighth scale miniature railroad that’s fun for kids and adults alike. Other highlights include the sawmill, steam crane and rustic blacksmith shop. You can’t get closer to authentic Amish culture than this. 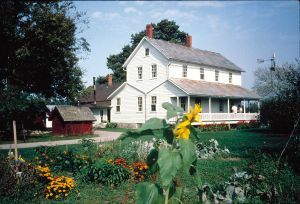 Home to the first Amish settlers in Indiana, the Stahly-Nissley-Kuhns farmstead is the only Amish farm listed in The National Register of Historic Places. In addition to traditional horse and buggy rides, and engaging craft demonstrations, enjoy a hearty family style meal and try some free wine samples at The Tasting Loft. Stay for a showing of Plain & Fancy at the Round Barn Theatre—a Broadway musical about Amish life and love. When: Monday to Saturday 10 a.m. - 5 p.m. The J.D. Oliver family certainly left their mark on South Bend and beyond, creating plows that had a major influence agriculture. 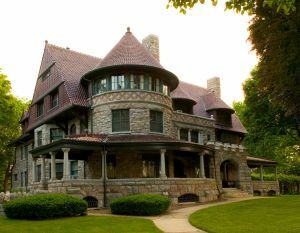 Tour their elegant 38-room Victorian man­sion, known as Copshaholm, which retains its original furnishings, plus a charming cottage reflecting the 1930s, a gallery that chronicles local history, a gallery of Notre Dame history, and a children’s museum all in this one location just west of downtown. On the historic house tour, docents provide interest­ing facts about both the mansion and the family so deeply rooted in Northern Indiana. The museum grounds also include two acres of historic gardens for an ideal outdoor stroll. 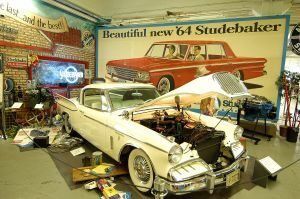 The craftsmanship and design of the Stude­baker family’s transportation creations is on full display when you roam past more than 100 painstakingly restored vehicles, such as the 1934 Bendix and the 1935 Commander Roadster. The Conestoga wagon that first brought the Studebakers to South Bend in 1852 is on display, as well as carriages the family created for presidents, including the carriage Abraham Lincoln took to Ford’s theater on his last ride. See and hear the Amish-Mennonite story at Menno-Hof, the perfect place to start your visit to Amish country. Centered amid park-like grounds, the complex was built by Amish and Mennonite craftsmen during an old-fashioned barn raising. Multimedia presentations, historical environments and colorful displays take you on a fascinating journey inside the unique world of the Amish and Mennonites. History unfolds as you explore a 17th century sailing ship and replicas of a 19th century print shop, meeting house and Amish home. Experience the simulation of a tornado as the wind blows and the theatre shakes. Tours are educational with hands-on activities for all ages. 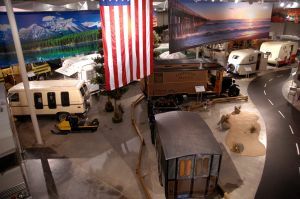 The only museum of its kind; experience eight decades of the RV/MH Industry’s models, while learning how RV’s have impacted our nation! A new exhibit joining the museum collection is the Charles Lindbergh’s Travel Trailer. Open year round. Visit website for admission rates and days/hours of operation. 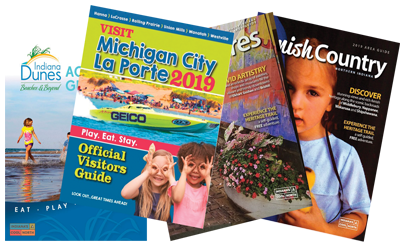 These are just a few of the awesome, interesting, and eclectic museums and attractions you’ll find when you visit Northern Indiana. Explore our Things to Do page to find more fun in Indiana’s Cool North.